With lovely soft furnishing and a stunning French bed, it takes farm cottages to a different level. Great accommodation for any family or couple eligible to take advantage of our two person discount (please refer to the price in brackets on our availability chart). Ground Floor Entrance via stable door into the hallway with a wrought iron and pine staircase. Sitting/dining room which opens onto patio at front with enclosed garden and picturesque views of rolling countryside. 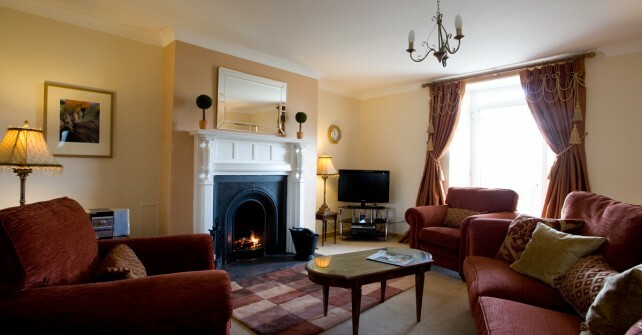 The open plan sitting room has a traditional cast iron open fire, colour 32”LCD TV & DVD, CD/Radio, dining table and chairs. The open plan kitchen area comprises modern fittings, with full size electric cooker, fridge/ freezer, dishwasher and microwave. Utility cupboard with washing machine and tumble dryer which opens onto patio at front with enclosed garden and picturesque views. 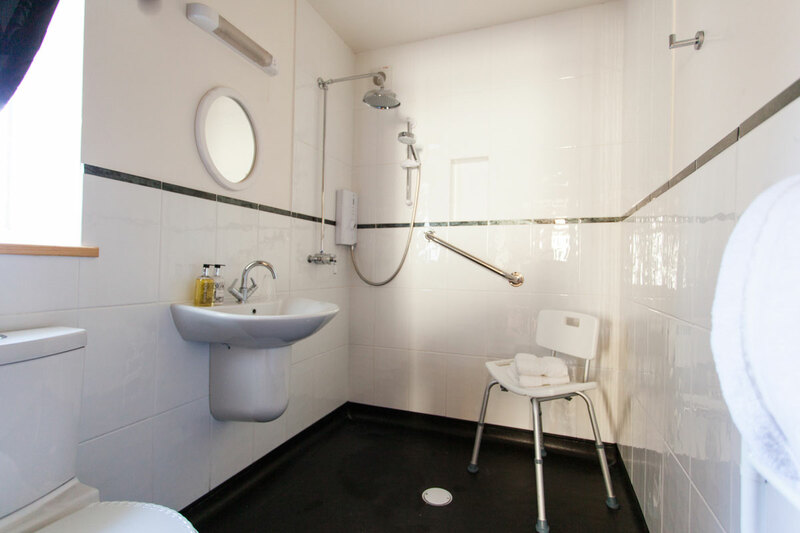 Bedroom 1 : Situated on the ground floor with a double French antique bed with a luxury pocket sprung mattress, wall mounted LCD TV/ DVD with en suite wet room with Mira rain shower or the choice of electric shower, toilet, wash hand basin and shaver point. 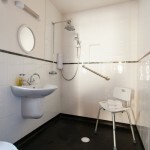 The bathroom on the ground floor has a bath with a Mira rain shower over, WC, wash hand basin, electric shaver point. Bedroom 2 : Two single memory foam beds. Fantastic cottage, great time had by all. A great place for New Year. Thanks for the welcome & Christmas Cake, & even arranging the snow. We had a nice & cosy chilled out New Years day in front of the fire. Once upon a time, there was a worn-out family who needed a well-earned rest/ study break. As if by magic they landed at Primrose Cottage (2nd visit) for Easter. And it was magic, Easter Day arrived with a field full of baby lambs, chickens and sunshine and just a dusting of snow to keep us amused! We recommend, Seahouses, Bamburgh Castle, Coldstream, and a trip to Edinburgh is not to be missed. With a roaring fire, we spent another happy week here. And are going home relaxed, and ready to start again! Thank-you Robert, Perfect holiday in the Perfect Place. We will be back! A really great place to stop, which is why we came back! Weather a bit mixed but even Robert can’t control that! Thank-you.